The involvement of so many of the world’s largest hardware suppliers, networks and phone manufacturers suggests that Android is destined to be the Next Big Thing in wireless. After all, if Motorola, HTC, Samsung, China Mobile, Intel and many more are already in bed with a firm like Google, the resulting bandwagon must surely be unstoppable. However, when insiders as influential as Nigel Clifford, the CEO of Symbian, look at the shiny newcomer and dare to point out that it’s “just another Linux platform” and that “it sometimes appears that Linux is fragmenting faster than it unifies” perhaps we should delve a little deeper. We spoke to one of the most significant OHA partners - Japan’s NTT DoCoMo - to find out exactly what lies in store for both its customers and the rest of us. Like all the OHA partners, DoCoMo spokesperson Shuichiro Ichikoshi isn’t in a position to tell us about his firm’s Android phones - they doesn’t exist yet - but he did clear up a puzzling situation. Echoing the Symbian viewpoint, we pointed out that DoCoMo is already a partner in the LiMo Foundation - an industry body, including DoCoMo, Samsung and others, based on creating an open Linux platform for mobile devices. Sounds familiar? In other words, creating a common platform for other companies to adopt the W-CDMA 3G standard developed in-house and used by more than 40 million Japanese FOMA users is what really matters to DoCoMo. Whether that involves Android or another OS matters not. So, does this mean Android may never bear fruit for the Japanese giant? On the subject of the companies that actually make the phones, there’s no official party line to push. 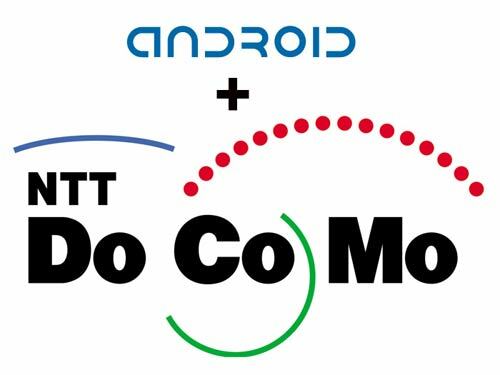 “Since it is [the] manufacturers who decide which platform and OS will be adopted for their handsets, DoCoMo is not in a position to answer whether we will adopt [Android or not],” explained Ichikoshi. One viewpoint this suggests, given that Japan is one of Symbian’s largest markets (30 million phones sold so far), is that handset makers will stick with what they know and thus consign Android and Google’s advertising-led dream of open phones to the ‘Nice Try’ pile. The other way to look at the situation - which is, of course, what Nokia, Palm and their non-neutral ilk must privately dread - is that the momentum the OHA clearly already has will build, creating an unstoppable Android-based juggernaut that becomes the single irresistible force in the mobile-phone market before long. So, even if Android doesn’t give Google a new outlet for its advertising business or supply us with a new generation of stunning phones to play with, it may end up helping companies like DoCoMo spread their technological gospel worldwide. Given that the Japanese giant is well known for its ahead-of-the-curve technology - it already has successful 4G test networks in place - perhaps the OHA shake-up will have effects considerably more significant and far-reaching than a few annoying adverts on our phone screens.